APOS IDAC can alert administrators if any part of the metadata retrieved meets predetermined criteria or surpasses predetermined thresholds. Flag sensitive data so that you know when, how, and by whom it is being used -- or misused. When you are reviewing the security of your BI system, sensitive data deserves special consideration, especially in industries such as financial services and healthcare, where the security and privacy of data is highly regulated. BI platform managers and administrators need to be able to track user access and report on it to the appropriate regulatory and internal governance authorities when necessary. Unauthorized access constitutes a data breach, regardless of intention, and regardless of whether it is external or internal. 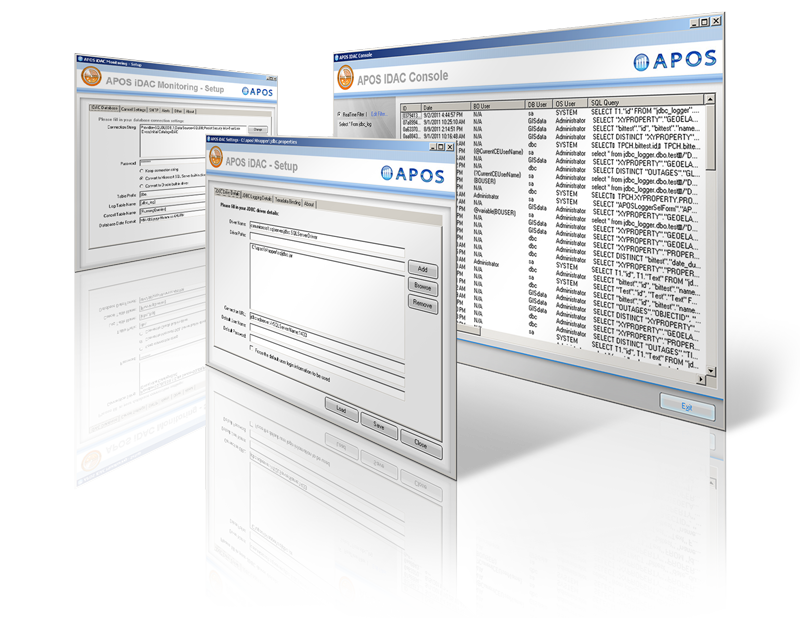 APOS IDAC is a multi-threaded JDBC driver that is used by the universe to which it is assigned to track queries issued to data sources via the universe and write the metadata around that query to a database. One of the features of the IDAC solution is the ability to track specific fields. For example, in a healthcare environment, you can set up alerts to be triggered by a query against a Patient ID. This is particularly useful, because under HIPAA a patient has the right to know who has accessed their health records. A query to the IDAC database can give you this information immediately. You can also use the data from the IDAC database to analyze user behavior over time.